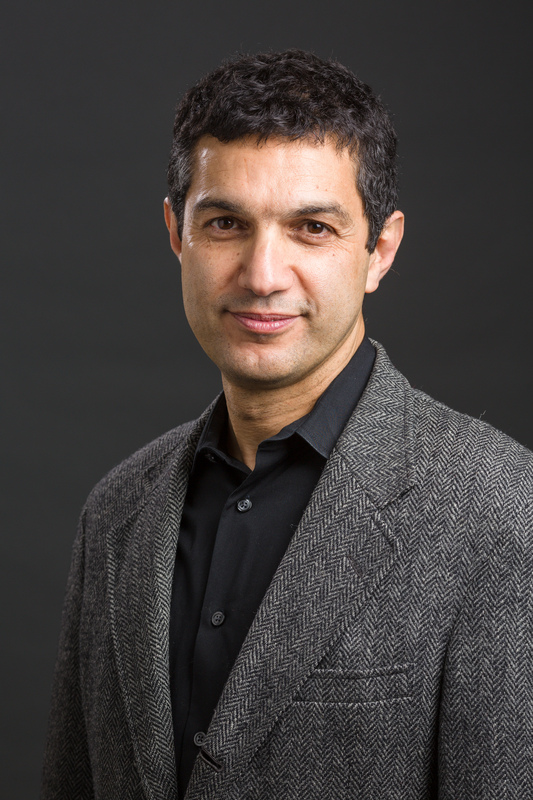 Kaveh Khoshnood knows global health. He has been at the Yale School of Public Health since completing his MPH, working almost exclusively on HIV/AIDS and health among the most vulnerable populations in the US and worldwide. Even more remarkably, he has devoted his career to training the next generation of public health workers. He teaches a popular class at the Yale School of Public Health called “Responding to Violent Conflict: Epidemiological Methods & Public Health Interventions” and is a beloved advisor of the undergraduate Global Health Studies Program. The Yale Global Health Review sat down with Kaveh to discuss global health, career choices, and finding your passions. To start off, how did you first become interested in Public Health? I got interested in public health because I had this dual interest in medicine and social justice. I come from a family of two physicians, so I had medicine in the background. But as a person born in Iran, I was also quite interested in social science and social justice. Honestly, at that time, I didn’t know what public health was. My father, who is a dermatologist, mentioned it, and as I looked into it, it made sense for me. As you know, public health is all about population-level health. It is about understanding why entire communities and populations are disproportionately affected by certain problems and trying to figure out what the root problems are—which often intersects with issues of social justice. So it was a nice marriage of my various interests and I liked many aspects of it, including this need to understand communities: their norms, beliefs, values, and what’s important to them. That was so intriguing to me. How, then, has your career turned more globally focused since those earlier years? In terms of global health, in the late 80’s, when I came to Yale to do an MPH, there was no global health per se. There was literally one seminar called “Seminar in International Health,” which I took. Actually, now that I think about it, the professor said, “pick a topic you’re interested in and research it.” I picked refugee health, and I don’t know why, which is interesting because decades later I’m looking at refugee health now. So, the term global health really hadn’t been coined. But there was this notion at the time that there were health issues in a United States setting, and then there were health issues that affect low-income countries, and that they were very different. As an immigrant I was interested in that. So I looked for opportunities to go abroad and learn about what health looks like in other settings. I managed to do some of that and really liked it, so it stuck with me. Something a lot of Yale students struggle with is the decision whether or not to engage with health by becoming a physician or by following a different path, such as public health. How did you come to the decision not to become a physician, and instead work in health as an academic? Medicine seemed so narrow that I decided to move away from medicine and focus on public health. I really didn’t look back, which was just a personal thing. I just didn’t see myself as a physician. I didn’t have the affinity for that work. I really like the social and political aspects of public health—you can’t get into that as much as a physician. Let me just say that by no means should people in public health shy away from medicine. In fact, some of the most influential people are those who’ve managed to marry medicine and public health. So that’s a fantastic career path for some people—to work in public health through combining it with medicine. Looking back, would public health still be the path you’d take? Yes, absolutely. I’ve thought about this many times. I do have an interest in medicine and I think if I had to go to medicine, I’d do psychiatry. But public health was the right decision for me; it was the right career path. I haven’t regretted it at all. You know, there may be things about your job you don’t like, but that’s any job! It’s been incredibly rewarding. And, as you know, I have an academic job. But you could also do public health in very different settings. You could work for governments, non-governmental organizations (NGOs); but I work in academia so I have a specific way I do public health. Another thing on undergraduates’ minds is trying to figure out which specific health issues are important to them. How did you determine which specializations in health you really cared about? First of all, picking a topic initially doesn’t mean you stick with it for the rest of your life. To a large extent, I tell students who are just starting, especially undergraduates, it honestly doesn’t really matter. Maybe you want to do lung cancer, you want to do drug abuse, or you want to do women’s health. That’s great, but there will be opportunities to work on many different projects throughout your career. It has to be something that intrigues you, speaks to you, and something you connect with on a personal level. Sometimes you personally, or your family, has dealt with it. The topics you work on tend not to be purely intellectual, although sometimes they could be. One way or another, it has to speak to you and you have to connect with it. Because then you will spend the time, effort, and energy to really delve into it deeper and not just do something superficial. Whatever speaks to you, do that, do it well. You’re going to learn, you’re going to make a ton of mistakes. You’re going to problem-solve. And those lessons—you will be able to carry a lot of those to the next issue you’ll tackle. So pick a project you connect with on some personal level. Work on it hopefully more than just a few weeks and months. Get deeper, and you’ll see all the different layers of it. Think. Be reflective about what it is you’re doing before you move on to the next thing. How then did you figure out that you were passionate about HIV/AIDS? I learned about HIV in the School of Public Health, and there was a sense that this clearly was a new, devastating epidemic. There were community campaigns, people going door-to-door to teach people about transmission, etc. So there was a sense of politicization about it, which I loved. I was going with outreach workers on Saturdays and literally knocking on doors and talking with people about it—it was that kind of a grassroots campaign. That was the issue that kind of caught my imagination and I went with it for almost 20 years exclusively—different aspects, different populations, different countries, but only HIV/AIDS for a long time. It just caught my imagination. I saw all the different things I was interested in public health in this topic: there are the scientific questions of HIV, there was certainly grassroots organizing around HIV, social justice, activism, policy, it had the whole spectrum of public health issues that intrigued me. Now, Yale College has a global health program, but not a general health studies or public health program. What is your advice for those who are interested in domestic health? If you’re really passionate about health in the US, do that! There’s no reason for you to feel the need to go overseas and do something. You have to go overseas to low-income settings for the right reasons. Not for adventure. Not to go somewhere exotic. That’s usually not a good motivation to work abroad. I would say in my own career, I learned to do public health, mostly around HIV/AIDS and drug use, in New Haven. To this day, when I travel to faraway places I draw lessons from the experiences of having worked on HIV drug use in this city. That’s the ground on which I’ve built my skills. What have been your major challenges to working in global and public health? Well I think the biggest challenge perhaps is trying to ensure that knowledge we generate in academia is translated into appropriate policies and programs. We have not been that successful in doing so. If I think of my work in HIV prevention among drug users, one of the key issues was access to syringe exchange programs: making sure people have access to clean syringes and quality drug treatment programs. The evidence is overwhelming that these are all good ideas but when it comes to policies and programs, they are not there. So that is really the frustration—you won’t see the changes you hope for or the policies you write at the end of your academic papers. Some of those may not come to fruition for decades. You’d like to see evidence move policy in your lifetime and have an impact, which is the most frustrating. What have been the major rewards to working in global and public health? Having said what I just said, we’ve had plenty of success stories integrating academia and policy. The city of New Haven went from not having a syringe exchange program to adopting one and then expanding it to five other cities in Connecticut. Now, we’ve seen New York change its policy along with other state/federal policy and legal changes in the US and beyond. So a lot of good policy has come out of the work we’ve been involved with. It’s not that policy is never impacted by public health, it’s just to really deal with this issue of HIV, you have to be forceful about it and sometimes governments will not respond vigorously. But plenty of good policies and programs have been created. The other major source of satisfaction for me, personally, is students. Seeing students be quite turned on to tackling some of these global health issues is so inspiring. I tell them: “look, we don’t have the solutions. We’ve run out of ideas here, so see what you come up with.” And it’s remarkable to see quite young students, early in their career, commit themselves in a significant way to tackle some of these challenges with really minimal guidance from us, which is so rewarding to watch. As a final question, a lot of undergraduates are trying to balance their passions with realistic concerns about financial security in the future. What is your advice to students making choices in this regard? Be very aware and honest with yourself about these things. That issue of balancing personal/family well-being and your work will be a constant for the rest of your life, no matter what you end up doing. I’d say that public health is much more elevated in society today than in the past, and it’s not just in the US. I mean, a MPH degree is recognized around the world, so there are more jobs. There is a lot of new money and organizations that need people who are trained in public health. In my case, I work in academics and it’s more than sufficient to have a good life and raise your family, so it is possible. Cassie Lignelli is a junior in Davenport College majoring in Anthropology, and she is also a Global Health Fellow. She can be contacted at cassandra.lignelli@yale.edu.